Benefits such as mental stimulation and social engagement are associated with staving off chronic disease. Punching a time clock is still part of the regular routine for an increasing number of older adults. They're staying employed or going back to work, even though they're beyond the traditional retirement age of 65. "For well over 100 years, men had been retiring at earlier and earlier ages. Something shifted in the 1990s, and they began working longer. The story for women is different. They weren't always in the labor force. But now we see employment rates rising for women at every age," says Nicole Maestas, an associate professor of health care policy at Harvard Medical School. She studies the economics of aging, health, and disability. Why are we working later in life? Life expectancy has improved. In 1970, life expectancy for people who reached age 65 was 78 for men and 82 for women. Today men and women who've reached 65 will on average live to ages 84 and 86, respectively. 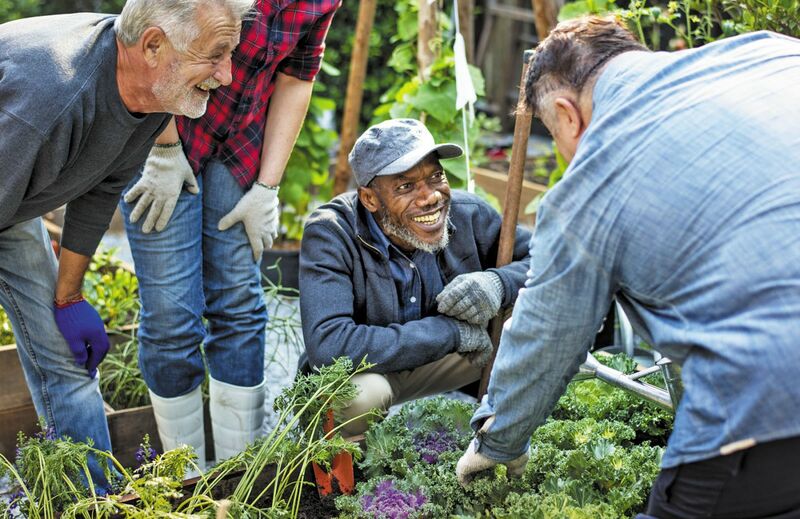 "If you expect to live into your 80s or beyond, it's natural that you might still be working in your 60s and 70s," says Maestas. Jobs require less physical work. "Many people have less physically demanding jobs in today's information economy, so for some it is easier to continue working," Dr. Maestas explains. People in their 60s are in better health today than they were 50 years ago. Dr. Maestas also identifies two other reasons for working longer. First, education levels have risen, and people who are more educated are more likely to work at any age. Second, as people live longer, they might have to extend their working lives so they can support themselves. The U.S. Bureau of Labor Statistics reported in 2017 that 32% of people ages 65 to 69 were working, and 19% of people ages 70 to 74 were employed. The projection for 2024 is that 36% of people ages 65 to 69 will be in the labor force, far more than the 22% who were working in 1994. There's increasing evidence that the payoff of working past age 65 may go beyond income. Some studies have linked working past retirement with better health and longevity. A 2016 study of about 3,000 people, published in the Journal of Epidemiology and Community Health, suggested that working even one more year beyond retirement age was associated with a 9% to 11% lower risk of dying during the 18-year study period, regardless of health. A 2015 study of 83,000 older adults over 15 years, published in the CDC journal Preventing Chronic Disease, suggested that, compared with people who retired, people who worked past age 65 were about three times more likely to report being in good health and about half as likely to have serious health problems, such as cancer or heart disease. Other studies have linked working past retirement age with a reduced risk of dementia and heart attack. Suffering stress on the job has long been recognized as a risk factor for coronary artery disease and stroke. If your job is physically demanding, you may have an increased risk of injury. If you feel your job lacks meaning, if you're bored, or if you feel "burned out," that may add to stress or affect your mood. It's not surprising, then, that a number of studies have found health benefits to retiring. For example, a 2010 study of 14,000 people, published in The BMJ, found that retiring was linked to a substantial reduction in mental and physical fatigue and depressive symptoms. The fact is, scientists have found mixed results when they've studied the effect of working past retirement. "Some studies find less of a benefit, no benefit, or maybe even harm. On balance they tend toward the positive," Maestas says. But she also points out that the mixed findings indicate the health benefits of working simply depend on the individual and his or her circumstances. We do know that staying mentally, socially, and physically active — which working may enable you to do — is good for health. Mental stimulation and problem solving are good for maintaining thinking skills; social engagement is associated with staving off chronic disease; and staying physically active, even if it's just walking, can lead to both better health and sharper thinking skills. Does that mean you should keep working? "Yes, if you can," says Maestas. "But be smart about what you're doing. Don't stay in a job you hate. Try to find something that's meaningful and gives you purpose. If you're happy at work, that's one sign that work may be good for your health." If you're interested in going back to work, the National Council on Aging (www.ncoa.org) and the AARP (www.aarp.org) have a number of resources on their websites.